West Laurel Hill Cemetery held a Sesquicentennial celebration on Wednesday, January 23, 2019. The event included a reception, music, a buffet dinner and remarks from area political figures. 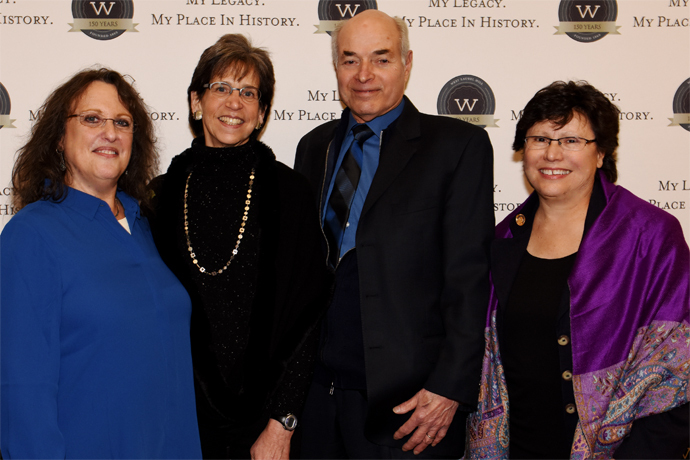 Lower Merion Township Commissioner Liz Rogan, West Laurel President Nancy Goldenberg, Lower Merion Township Commissioner George Manos and State Representative Pam DiLessio, shared a moment at the step and repeat during the event. West Laurel Hill Cemetery is located in Bala Cynwyd. It is the site of many notable burials, and has been listed on the National Register of istoric Places since 1992.